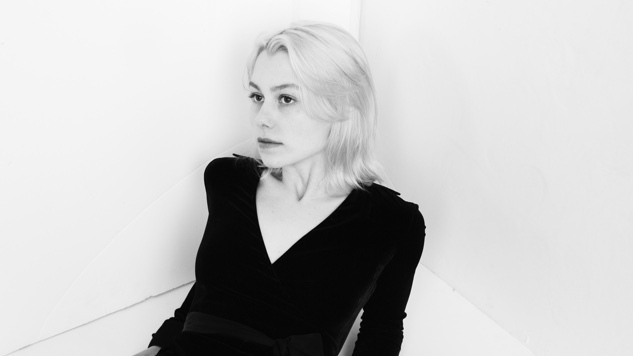 Phoebe Bridgers will be making her late-night debut on Conan tonight, airing on TBS at 11 p.m. ET. Her debut album, Stranger in the Alps, was released in September of last year to widespread critical acclaim, including a spot on Paste’s year-end best new artists of 2017 list. She has also teamed up with Julien Baker and Lucy Dacus to release an EP under the moniker boygenius. Bridgers will be appearing along with guests Javier Bardem and Elizabeth Olsen—or “hot people,” as Bridgers identified them in an Instagram story posted late Monday night. Bridgers will be touring for the remainder of the year, both solo and with boygenius. Find those dates below. Watch Phoebe Bridgers’ 2017 Paste Studio session below, as well as her 2016 Daytrotter Session.